Bird Houses and Baths offers a great selection of bird houses, bird feeders and bird baths at discounted prices and always with FREE SHIPPING. 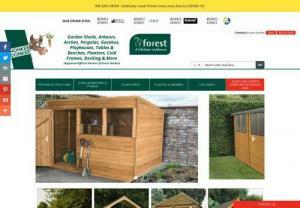 Wonkee Donkee Forest Garden is an approved supplier of Forest Garden timber outdoor products such as sheds, summerhouses, log stores, pergolas, arbours, planters, raised beds, garden furniture, log cabins and playhouses. The company is an online division of builders' and plumbing merchants Boys & Boden Ltd which runs multiple outlets in England and Wales. Online guide providing free advice to help homeowners maintain beautiful lawns and gardens. Creating landscapes that are admirable and inspiring is the forte of Stone Lotus Landscapes Pty Ltd. We are a team of experts who take note of your demands and requirements and give your desires a wonderful shape. We have spent years in making exteriors of households beautiful and have received accolades for our prowess as one of the influential landscape gardeners in Sydney. Proudly serving Minnesota.100% Free estimates, No job too big no job too small we do them. Customer satisfaction guaranteed! Flint Landscapes are an innovative and multi-award winning garden design and landscaping company. Working across Manchester, Cheshire and Lancashire. City Botanics is a specialised garden design studio based in Auckland. We focus on providing our customers with garden design solutions for small space gardening. Our service offering includes garden design, garden landscaping and garden maintenance for residential and commercial properties. 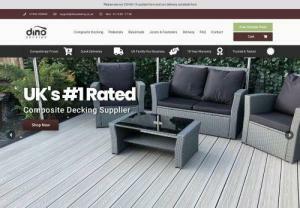 Antiquity Outdoor Supply, in Omaha, NE, not only has real life landscape design, installation and product knowledge, we also have a passion for well built outdoor living areas and products that will stand the test of time. Antiquity Outdoor Supply, 15353 Chandler Road, Omaha, NE 68138, (402) 502-2068. VertVista is a landscape engineering firm specializing in Green Walls, Vertical Gardens, Bio Wall, Living green wall, Terrace Gardens and Urban Landscaping solutions from Mumbai. Garden care services from Fox Mowing are uniquely packaged to incorporate all garden maintenance requirements of customers in Canberra, Australia. 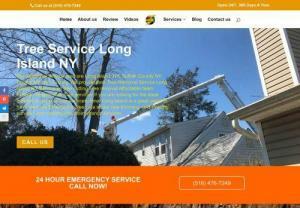 Belt's Landscaping offers services starting with Lawn Mowing, Sprinkler Repair, Shrub & Tree trimming, and more. We offer budget friendly options and an awesome team to work with! Lawn Care In Conroe, TX and landscaping services for the surrounding Lake Conroe area. Local. Affordable. Professional. Our mowing service includes mowing, edging, weed eating, and blowing. We also offer flower bed maintenance, yard cleanups, aeration, mulch, hedge and shrub trimming. Donovan Arborists of Denver, Colorado are experts at tree pruning and removal, shrub planting, cabling, bracing and other landscaping projects. Xtreme Turf is leading supplier for Artificial grass and turf is used in residential, commercial and sporting applications, right from house backyards, rooftop gardens to sports fields and more. For lawn mowing, garden maintenance and other related services in Ellenbrook region call Fox Mowing. We provide all services related with lawn and garden. We work closely with our clients to customize the services we provide based on their specific needs and circumstances. We're proud to be a leading lawn installation specialist in London and Southeast area, and willing to go the extra mile whenever and wherever we're needed. Contact us today to get in touch with our team of experienced professionals. Landscaper Newbury specializes in high-quality landscaping services. We provide a wide range of professional landscaping services in Newbury and the neighboring areas. Give us a call @ 01635 247 943. Fox's Hedge trimming and topiary services help you to achieve aesthetically pleasing hedges, call us for hedging and topiary services in Canberra region. For availing best lawn mowing service at Balcatta area, call FOX Mowing team. We provide other services such as fertilizing, pest and weed control etc. Steve's Garden Services is a small business providing garden maintenance services to both residential and commercial customers covering the Swardeston and surrounding area. Rococo Landscaping & Building provide landscaping, landscaper, fencing, decking, driveways, patios, garden landscapers, landscape design in St Albans and Harpenden.